NEED A SIGN QUOTE OR ESTIMATE? CONTACT RYAN-MARKLAND SIGNS TODAY FOR A FREE, NO-OBLIGATION ESTIMATE. Contact us today for all of your Neon, LED, Channel Letter, Plastic Form, Printed and Portable sign projects. Increase visibility outside your building and improve visitor and employee experiences inside your building using the right mix of visually pleasing tools and signs. Our non-electric signs and graphics make the most of high-tech materials and innovative production processes to help you identify your property and extend your image. Put your message in all of the places it needs to be with eye-catching banners and portable signs from Ryan-Markland Signs. 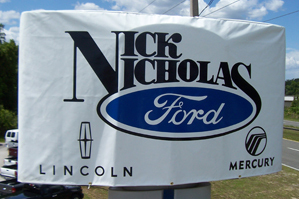 Banners and portable signs draw attention to your product, event, business or organization affordably and effectively. You can display them indoors or out, hanging or in stands, vertically or horizontally. Why Choose Ryan-Markland Signs? We'll Tell You! Show off your business the "bright way" with Ryan-Markland Signs, a full-service lighting and electrical sign shop in Inverness, Florida. 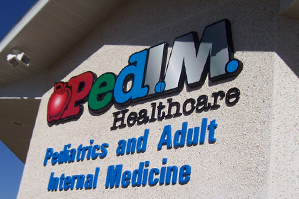 With over 30 years experience, we specialize in neon and LED signs that best reflect your company. All signs are made to pass county inspections, ensuring the highest quality for your satisfaction. 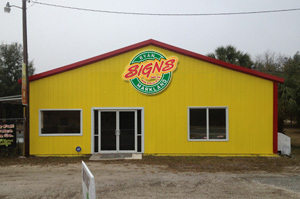 We are your Central Florida sign installation and design experts. Our professional, state-licensed technicians are available to provide you with constant care and maintenance of your entire facility's sign systems. Our service department will help provide you with signage maintenance on any schedule. Keeping you protected and provided with all the information you need to properly maintain your equipment. 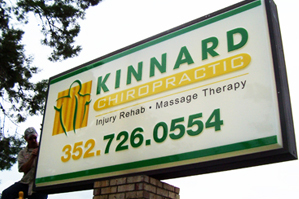 We have the equipment, manpower and experience to properly install your new sign or replace your existing sign. Pole mounts, building mounts, ground or pedestal mounts, with power or without, our professionals can get your Central Florida sign installation job done right!